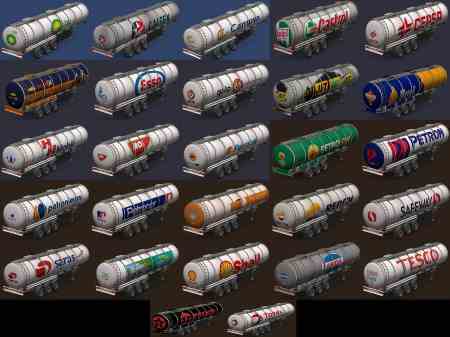 Pack of 27 diesel fuel tanks of real companies, also circulate in traffic. Pack of 10 containers of real companies, running in traffic. 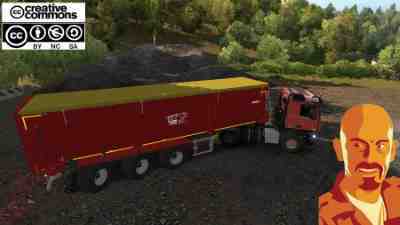 Works on: ETS2 1.28 to 1.30.x. 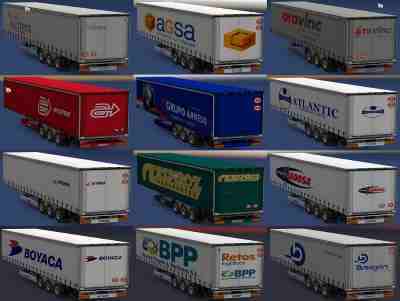 Credits: CyrusTheVirus (This mod, convertion & integration in ATS & ETS2), Julian11 (3D Trailers models). 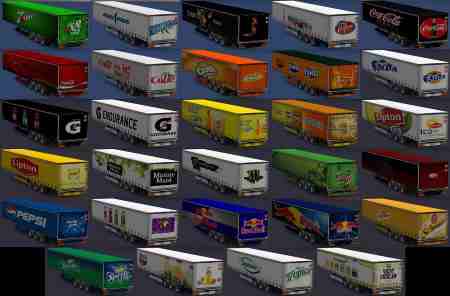 Pack of 29 trailers of brands of real soft drinks, works in traffic. The Pack contains 19 standalone trailers with some varied types and styles of Brazilian trailers, it’s actually an update of some mods I’ve saved, so it’s a very old mod, just updated, it contains some skins errors , others have been updated, but I hope to be correcting such errors in the future, but above all is still a fun mod that manages to bring some of the Brazilian routine to the game. 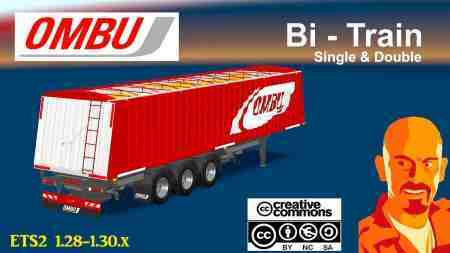 KRAMPE SB3060 AGRAR TRAILER (BETA VERSION) ETS2 1.28-1.29-1.30.x. ¡¡NEEDS AGRAR TRUCK MOD!! Sides and rear reflex stripes.